I recently decided to sell my apartment and buy another one closer to my workplace. I took out the rent until I ordered the sale of the old one and then the purchase of the new apartment. Meanwhile, I had to constantly communicate with brokers and real estate agencies. 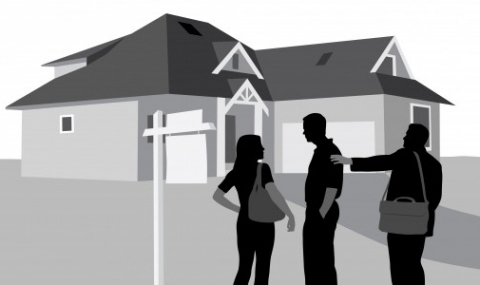 What is good to know when I use the services of a real estate broker? At present, the provision of services as a broker is not a regulated activity. There is a draft Real Estate Brokers Act, as well as an idea for creating a single register of real estate brokers. There is also a European Standard Real Estate Brokerage Services which contains minimum requirements for brokerage services and has been created by the European Committee for Standardization, which can be purchased from the Bulgarian Standards Institute (BSS EN 15733: 2010). applied by real estate brokers when working with clients. There is also a National Real Estate Association (NASA), which is a non-profit legal entity for private benefit. Its purpose is to protect and guarantee the professional interests and authority of its members and other citizens and persons in the performance of intermediary and other services in real estate transactions. They provide services such as: property advertising; legal advice; mediation, preparation and representation in concluding real estate transactions; checking for burdens on properties; assistance for obtaining mortgage loans, consumer loans and others. It is important to know that the agencies do not carry out a thorough study of the weights of the property. A burden statement does not mean that third parties can not subsequently claim. Therefore, it is also important to consult with a lawyer with expertise in property law. It is not expensive and I can find such a specialist quickly and easily on this page. Conclusion of a service contract with a real estate broker! Brokers offer a variety of services and, depending on my needs, we are free to enter into a civil contract with agreed terms that do not contradict the law. These are contracts for the making of factual and / or legal actions (the Act refers to contracts for making factual actions - contracts for making and those for performing legal actions - contracts for order). And, although franchise is fully applicable, brokers usually draw contract templates that they offer to sign up to all customers, depending on their interests, including an option to include individual clauses. A client of a broker can be a landlord or tenant, seller or buyer of a real estate. Real estate agent! Real estate agent!